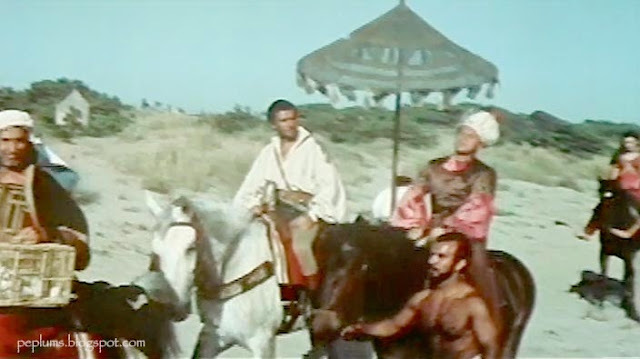 With Italian/European PEPLUM films, trying to figure out who played who (or whom played who?) is sometimes a challenge. 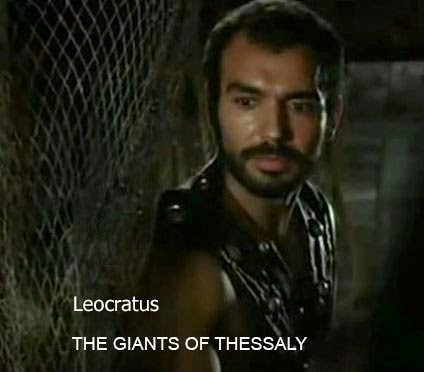 Case in point this mystery actor who has a big role in THE GIANTS OF THESSALY including dialogue and action scenes and yet his identity remains unknown. 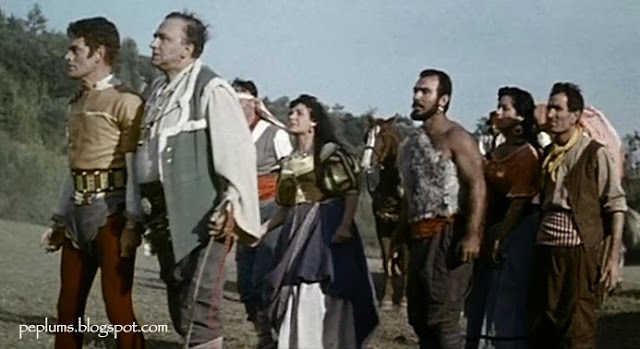 Well the other night I watched TERROR OF THE RED MASK and lo and behold the same actor appears briefly in it. He doesn't have any dialogue and in one scene we see him fully (last photo below). Because this is a small role he's obviously not credited for it but at least I know he wasn't a one-hit-wonder with THESSALY. If anyone has any info on him please let me know, either by email or post the info at the PEPLUM Forum. 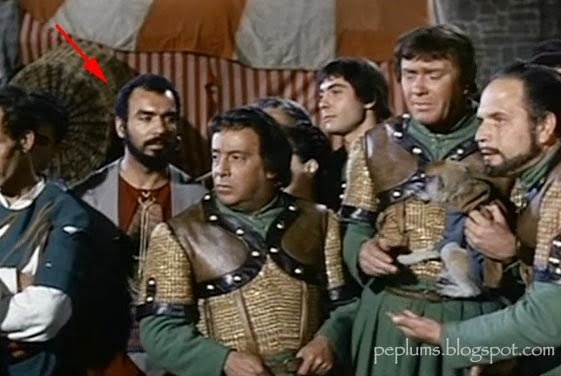 Mystery actor appeared briefly in THE PIRATE AND THE SLAVE GIRL. So that makes 3 films but still no credits. This could be Fortunato Arena. I'm not sure at all, his face is familiar since I have a great interest in Spaghetti Westerns and he is in many of them. Always with a beard and having that grizzled look. If it isn't Arena than this actor/stuntman has to have a name. Like I said he's in many Westerns, and if I'm wrong I'll have to research more. I have to say I've noticed him as well. He stood out from the crowd in "Giants of Thessaly", both with his physique and his charisma. Strange that no producer gave him a shot at stardom.